What is the Joint Learning Program? 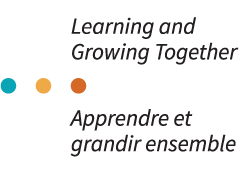 The Joint Learning Program (JLP) is a partnership between the Public Service Alliance of Canada (PSAC) and the Treasury Board of Canada Secretariat (TBS). Through the JLP, PSAC, TBS, and other unions work together to design, develop, and deliver learning events that will improve labour relations and increase the understanding of both union and management roles in the workplace. JLP learning events, or worskhops, are typically one to two days in length. They focus on topics where the employer does not already have a legal obligation to provide training and where both parties have an interest in fostering better understanding and dialogue. Co-management and co-delivery are unique aspects of the JLP. The Program is governed by a Joint Steering Committee composed of both Union and Employer representatives. The JLP is co-managed on a day-to-day basis by a PSAC and a TBS co-director and almost all roles in the Program are filled by both a Union and an Employer representative. And every workshop is co-delivered by a pair of volunteer facilitators. How was the JLP initiated? This initiative resulted from collective bargaining. In 2001, as part of the settlement of the collective agreements signed that year, the PSAC and TBS agreed to establish a joint learning program for PSAC members in the Core Public Administration and their counterpart managers. In subsequent collective agreements in 2004, 2008 and again in 2011 the commitment to the JLP was renewed. In the current term of the JLP, over $8M has been allocated to fund learning activities that are jointly designed and delivered. The pilot was the first time a bargaining agent and the employer have agreed through contract negotiations to jointly deliver learning activities to enhance labour-management relations in the public service. JLP has organized the learning events as workshops rather than courses. Workshops are generally understood to be short in length, focussed on a single theme, and to provide a hands-on learning experience. The workshops are designed using the principles of experiential and popular education. In addition to providing knowledge related to the topic, every workshop creates opportunities for Union members and their management counterparts to engage in a dialogue that fosters better relations in the workplace. The JLP offers workshops in seven areas: Creating a Harassment-Free Workplace (not available pending updates), Duty to Accommodate, Employment Equity, Labour-Management Consultation, Mental Health in the Workplace, Respecting Differences/Anti-Discrimination, and Understanding the Collective Agreement. The JLP does not schedule workshops. Instead, the JLP responds to requests to hold a workshop in a workplace. To request a workshop, both union and management representatives at any level jointly submit a request for a workshop through the JLP website. Once approved by the JLP, the event is posted on the JLP calendar. A strategic partnership is an agreement between the JLP, a department or agency, and a component or a local of the PSAC or another bargaining agent to deliver a specified number of workshops during a particular period of time. The agreement is written in a Memorandum of Understanding (MOU) which outlines the responsibilities of each party. When facilitators are selected to deliver workshops as part of an MOU, there is an expectation that they will deliver workshops within their home department / agency. In many cases, they are also made available for delivery within the broader JLP community.